Journey into Ancient Egypt, the most mysterious place in History, during a crucial period that will shape the world. Discover the secrets behind the Great Pyramids, forgotten myths, the last pharaohs, and engraved in long-lost hieroglyphics the origin story of the Assassins Brotherhood. For the last four years, the team behind the acclaimed Assassins Creed IV Black Flag has been focused on crafting a new beginning for the franchise. Fight in a completely new way where you transition seamlessly between unique ranged and melee weapons and take on multiple enemies at once. 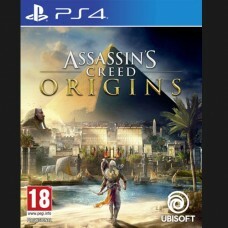 Choose your assassin skills while exploring the full country of Ancient Egypt, engaging into multiple quests and gripping stories along a journey that will change civilization.